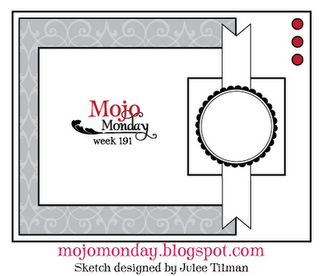 The inspiration is cupcake inspirations(see3 picture below right) and the sketch Mojo monday see sketch below left) – the cuts are spellbinder. I added a background stripes with edges by EKsuccess. and 3 dew drops. It’s mojo Monday and I needed a thank you card with this picture i took of an Easter wreath. 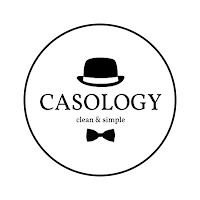 it close – see the design sketch below. 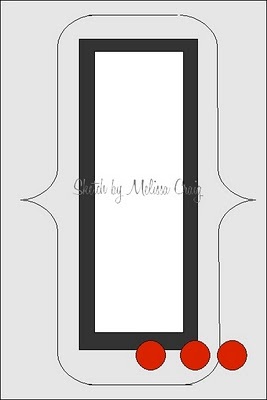 the picture background paper, cuttle butted frame and a ribbon and three dew drop beads. 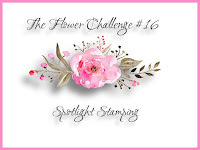 This morning I’m making a card for two challenges one is a design from Tuesday Morning Sketches( see below) and the other Everybody art challenge using the theme friends. The stamp is Stampin’ up, and when I first saw it i could imagine me and my barefoot sister exploring in the summer. The circle and flower border are cut with nestabilities from Spellbinders, the pink dots are dew drops. needed a quick good bye card for Lee., a friend moving top be close to her children in Oregon.. I love this wave and the sunset feel,. … I don’t get creative when i rush. The stamp is labeled KPOST chalked for sunset color and the cuts are spellbinders and with added background paper and dew drops. 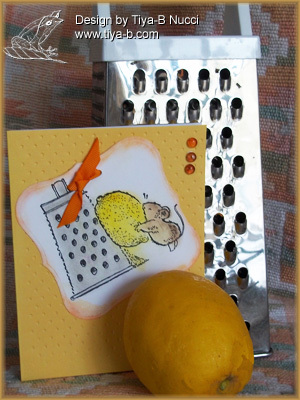 love the wave, beach scene..
Its penny black Saturday’s fruit theme so I get to use my mouse, lemon, and grater stamp… so I had to show it off with an actual lemon and grater… The stamp is Penny Black colored with chalks, three orange dew drops and the yellow background has cuttlebug dots indentations kinda like a lemon, the stamped image is cut and embossed with spellbinders and tied with an orange knot. I like lemons and lemon cakes and cupcakes.so lets make lemon cupcakes. 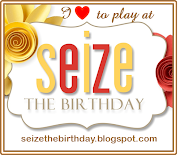 Its Penny Black Saturday and I’m late… I usually get up early and make a card and blog early, but didn’t get up so soon this morning since my son’s chihuahua and my chihuahua seemed to be playing most of the night. 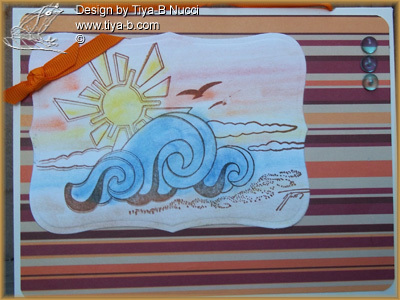 I finally finished, the challenges are Penny Black Saturday ‘beach’ theme and the sketch from Sketch Frenzy Friday. 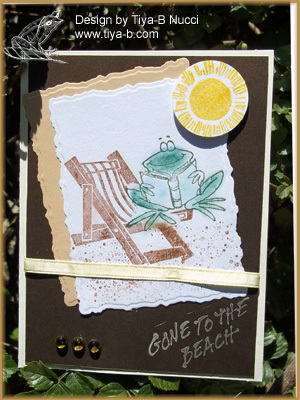 The chair, sun and sand are Stampin’ up cut and embossed with spellbinders nestie, and the frog is of course Penny Black. 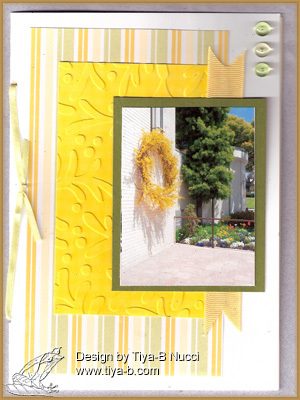 A yellow ribbon , dew drops and a dollar Michaels “gone to the beach” finish the card. I needed a panda so i bought this inkadinkado one last week and here’s the card . 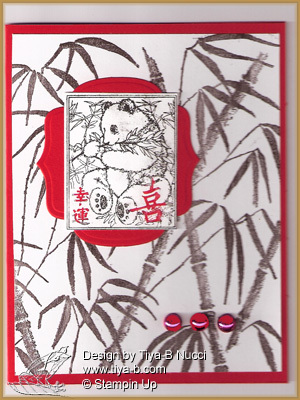 The panda is I stamped out with black ink on the stamp and then colored over the Chinese characters with red marker. 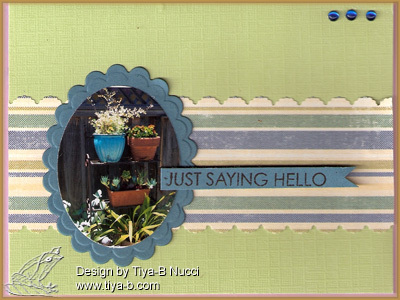 The background is the Stampin’ up bamboo II background and the red frame is spellbinder cut. the dots are robins nest. The Tuesday morning sketches follows.